This report examines the initial steps that IRWM regions are taking in response to new requirements to address climate change vulnerabilities and consider greenhouse gas emissions in IRWM plans. risks within an adaptive management framework. This assessment is based on a review of the current IRWM climate change requirements, existing IRWM plans, and Planning and Implementation grant proposals funded in 2011. It is also informed by interviews conducted by DWR regional climate change specialists with representatives of IRWM regions regarding their plans to address climate change. 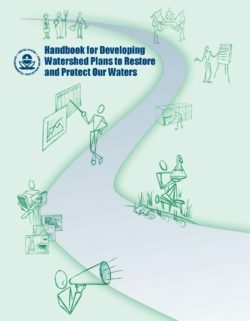 This handbook provides information on developing and implementing watershed management plans that help to restore and protect water quality. A watershed is the area of land that contributes runoff to a lake, river, stream, wetland, estuary, or bay. A watershed management plan defines and addresses existing or future water quality problems from both point sources and nonpoint sources of pollutants. Experience over the past decade has shown that effective watershed management includes active participation from stakeholders, analysis and quantification of the specific causes and sources of water quality problems, identification of measurable water quality goals, and implementation of specific actions needed to solve those problems. This handbook is intended to serve as the basis for developing and implementing watershed plans to meet water quality standards and protect water resources. Although watershed plans are useful for all watersheds to protect and restore water resources, as well as to meet other community resource goals, they are critical for impaired or threatened waterbodies. The most recent national water quality assessment reported that 40 to 50 percent of the nation’s assessed waterbodies are impaired or threatened. 3/20This handbook is designed to provide a framework to help you develop a scientifically defensible plan that will lead to measurable results and an overall improvement in the water quality and watershed conditions that are important to your community. Integrated regional water management (IRWM) is the application of integrated water management principles at the regional level. IRWM brings local agencies and other stakeholders, with a range of water-related roles and interests, together to address water management needs collaboratively within self-identified regions accepted by the State. 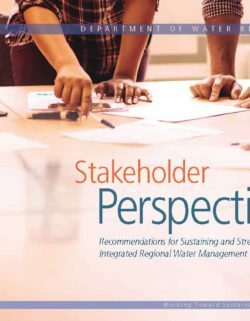 The practice of IRWM is rooted in the principle of regional control, recognizing that local and regional water managers and other stakeholders, working together in a collaborative, open, and transparent manner, are best suited and best positioned to manage water resources in their regions. Issues including limited groundwater and surface water supplies, drought, flooding, climate change, water quality, environmental degradation, aging infrastructure, economic constraints, recreation, and cultural considerations are addressed through coordinated and integrated actions. IRWM is helping California move away from a legacy of fragmented, divisive, conflict prone, and sometimes ineffective water management practices by supporting cooperation among agencies and other stakeholders. Helps provide for public safety. IRWM benefits accrue at the local and regional level, but also “roll up” to the state level, helping California meet its collective water management needs. When IRWM succeeds, California succeeds. governments in order to develop multi-­benefit water management strategies. Regional-­scale planning has become a crucial avenue for advancing these efforts. Initiated in 2002, the Integrated Regional Water Management Planning (IRWM) process has led to the formation of 48 water planning regions statewide, in which diverse local agencies have developed integrated plans for managing all aspects of a region’s water management. More recently, a Regional Flood Management Planning (RFMP) process was created in the context of the Central Valley Flood Protection Plan to advance integrated approaches to reducing flood risks. Six flood planning regions, overlapping with nine IRWM regions, were formed in 2012. 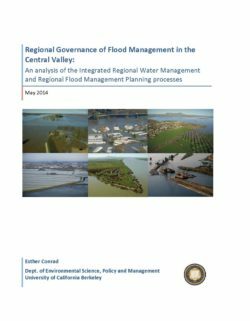 This study analyzes the origins and functioning of the IRWM and RFMP processes, and the degree of coordination between them to address flood risks in the Central Valley. In particular, it examines how each is working to generate multi-­benefit strategies, and how they account for climate change. It also discusses opportunities for future coordination between the IRWM and RFMP processes, and DWR’s role in supporting this. This study is primarily based upon an analysis of publicly available documents related to the IRWM and RFMP processes. It is also informed by meeting observations and conversations with staff at DWR and the Central Valley Flood Protection Board, and participants in IRWM and RFMP processes. Since RFMPs were not yet completed at the time of this writing, this study’s findings are preliminary. 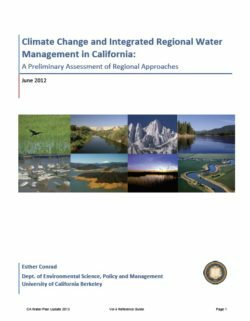 Nonetheless, this report provides an indication of the overall functioning of these RFMP and IRWM regions, and some general considerations for DWR as it assesses next steps in supporting these programs. A major investment has been made through California voter-approved general obligation bonds to incentivize regional water infrastructure and management solutions that improve self-sufficiency, reduce water use impacts and support environmental protection and restoration. 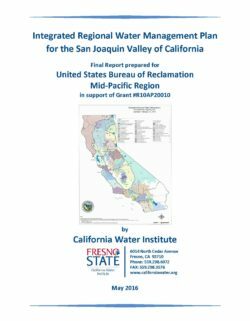 The program, put into California water statutes in 2002, and managed by the California State Department of Water Resources (DWR), is called Integrated Regional Water Management Planning (IRWMP). 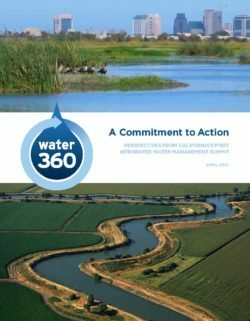 This planning tool, along with other water management strategies, actions and activities that have emerged, were ultimately intended to be elevated to an aggregate effort for the entire San Joaquin Valley into a Valley-wide integrated water plan. The aggregate effort was included as a goal in federal legislation (PL 111-11, Section 10101). The legislation included funding for the California Water Institute (CWI) at California State University, Fresno to prepare a report on the Valley-wide activities. The U.S. Department of the Interior’s WaterSMART (Sustain and Manage America’s Resources for Tomorrow) program allows all bureaus of the Department to collaboratively work with States, Tribes, local governments, and non-governmental organizations to pursue a sustainable water supply for the Nation. This is done through a framework that provides federal leadership and assistance on the efficient use of water, and by integrating water and energy policies to support the sustainable use of all natural resources. Basin Studies, one of the tools of this program, are basin-wide efforts to evaluate and address the impacts of climate change, and define options for meeting future water demands in river basins in the western United States where imbalances in water supply and demand exist or are projected. 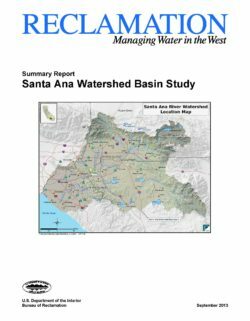 The Bureau of Reclamation (Reclamation) and the Santa Ana Watershed Project Authority (SAWPA) partnered in the WaterSMART Santa Ana Watershed Basin Study (Study). The work done under the Study was used to help SAWPA update its One Water One Watershed (OWOW) Plan. 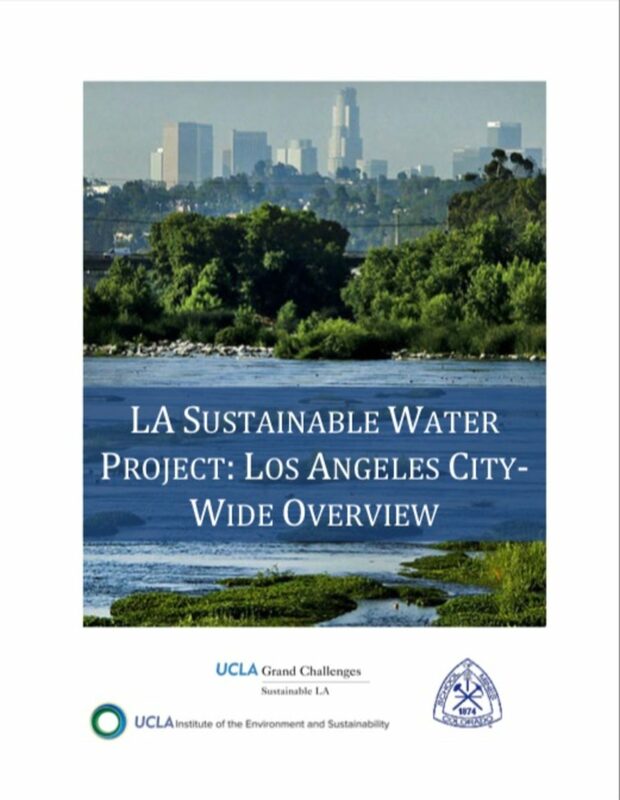 OWOW is an Integrated Regional Water Management Plan (IRWMP) for the Santa Ana River Watershed (SARW) that serves as the blueprint for SAWPA, its member agencies and key stakeholders to effectively manage water resources over the next 30 years. 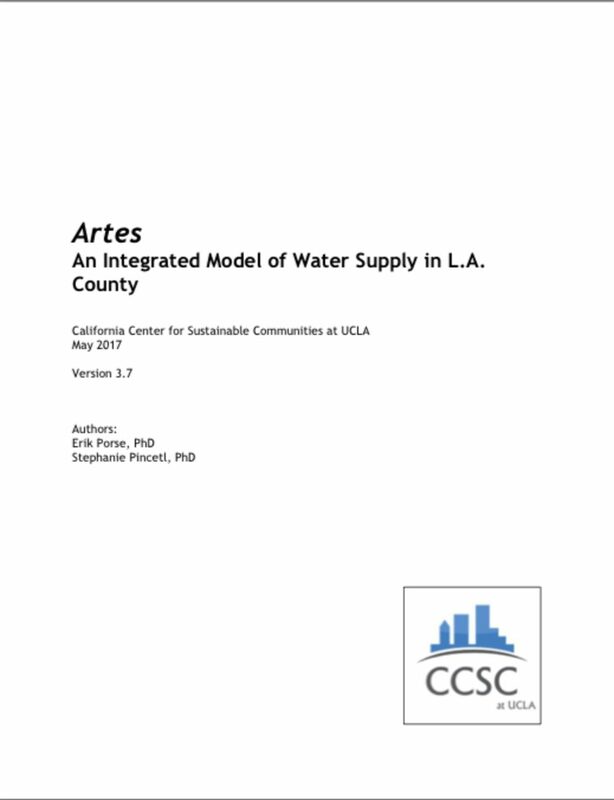 The Santa Ana Watershed Basin Study illustrates how effective collaboration can improve water management. This Study takes a crest-to-coast and corner-to-corner approach throughout a 2,400-square-mile watershed, which encompasses everything from beach to mountain communities, to address the area’s unique water resource challenges. The SARW is home to more than 6 million people, and tens of millions more people visit the area each year. The region also has a large manufacturing, industrial, and agricultural base. More than 350 water, wastewater, and groundwater management, flood control, environmental and other non-governmental organizations, are working together as partners with SAWPA on the OWOW Plan. Through the Basin Study Program, Reclamation is partnering with SAWPA and its stakeholders to update key components of the Plan, now known as OWOW 2.0. 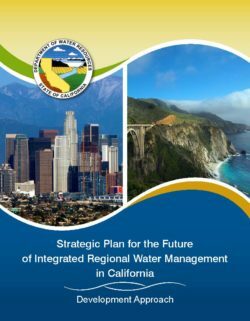 Integrated regional water management (IRWM) was officially embraced by the State of California in 2002 with the passage of the Integrated Regional Water Management Planning Act (SB 1672). Thanks to voter-approved bond funds, California has since made profound improvements in water resource management. The Department of Water Resources (DWR) has supported IRWM with grants and technical services to regional water management groups (RWMGs) statewide. Forty-eight RWMGs now cover 87% of the state’s geographic area and 99% of the population. The names and locations of individual IRWM regions and RWMGs, along with other information, can be found at www.water.ca.gov/irwm/grants/fundingarea.cfm.